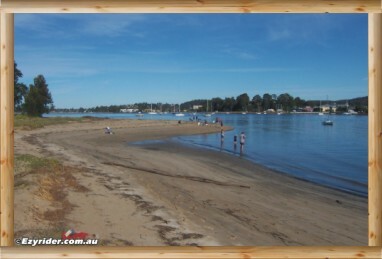 ﻿ Batemans Bay Korner's Park - Pictures & Information. 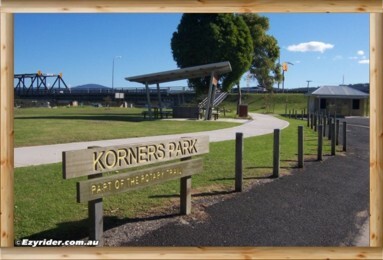 Korner's Park is located north of the town centre just over the bridge. 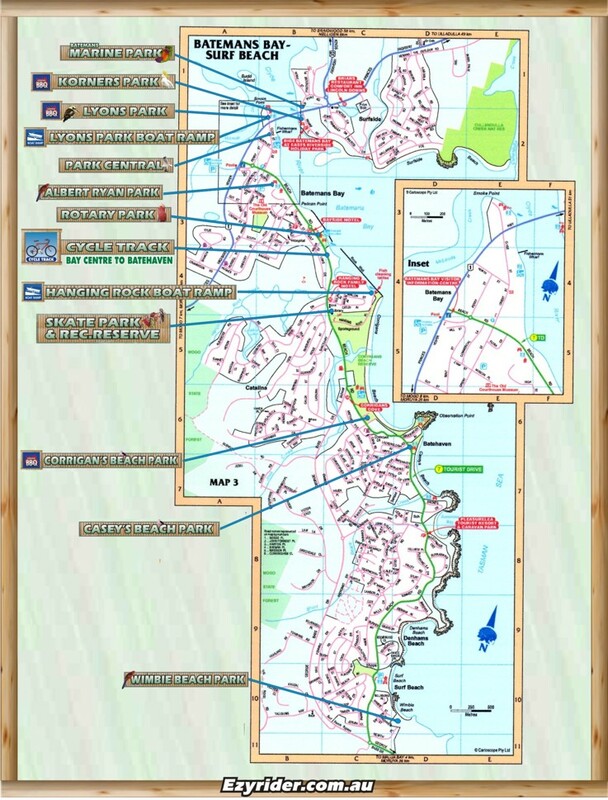 It is a private popular park as it has the necessary ingredients for a relaxed outing whether you have children, or are a couple or single. 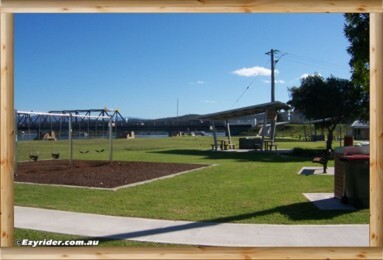 Adjacent is Batemans Marine Park (walk under the bridge) it is also a short walk over the bridge (or drive) to Batemans Bay Centre. 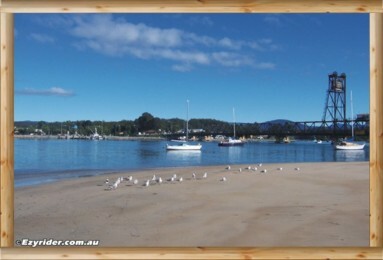 The small foreshore beach is popular for fishing or just relaxing. View Bay Centre just over the water. 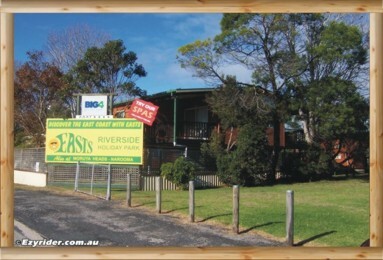 Adjacent is the Easts Holiday Park with cabins, caravan park sites and camping tent site. 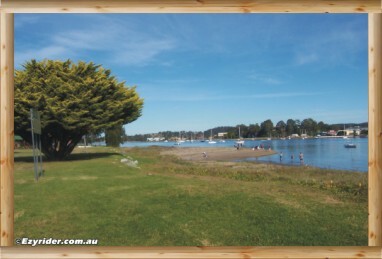 Batemans Bay Park map at the bottom of this page. 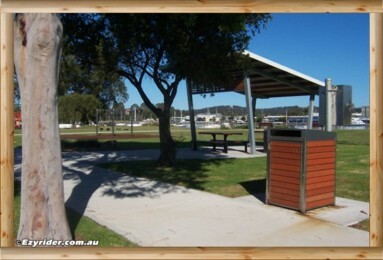 The chair overlooking the water towards Bay Central. 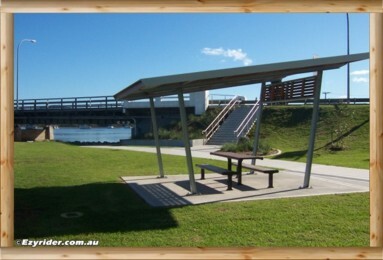 The walkway takes you under the bridge to Bateman's Marine Park and the stairs takes you to the bridge towards Bay Central. 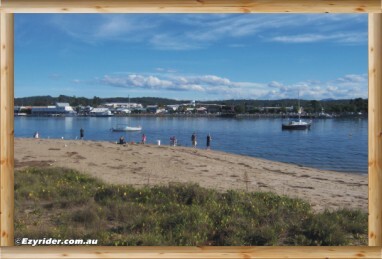 A closer view of the beach and people fishing with the town centre in the background. 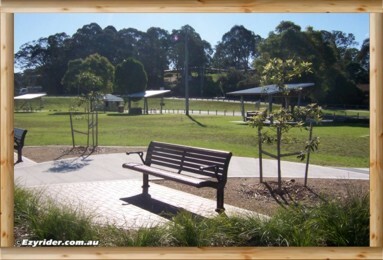 Another closer view. 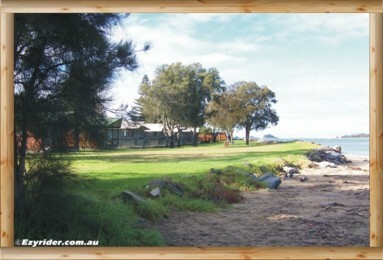 Next door to Wharf Rd Park is Easts Holiday Park with camping, cabins and caravan holiday park accommodation.